In the mood for a snowy vacation this winter? 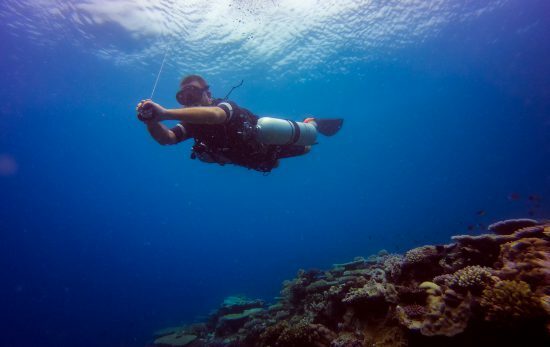 Why not get back to your favourite underwater sport instead of hitting the slopes like everyone else? From the heights of the Alps to the Arctic Circle, Europe boasts some of the best ice diving spots in the world. 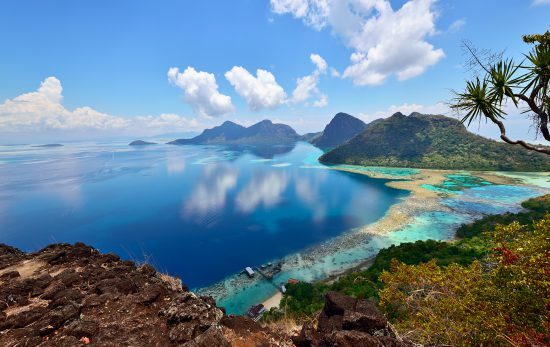 Check these incredible dive sites and explore a new underwater world where dry suits are not optional. Val Thorens is a ski resort in the heart of the French Alps, near the Italian border. At 2,300m altitude, it is the highest ski resort in Europe. From the restaurant “Chez Pépé”, you go for a 40-minute hike with snowshoes to reach the “Lac du Lou”. The dive centre uses full dry suits with dry gloves and full face masks. Thanks to them you don’t need to worry about diving in 2°C water. Being quite remote, Lac du Lou has very pure ice. There is no need to go deeper than 2 m below the surface as the point is the admire the blue halo through the ice. Dive time is no longer than 20 minutes during which your instructor will show you tricks such as standing upside down on the ice. 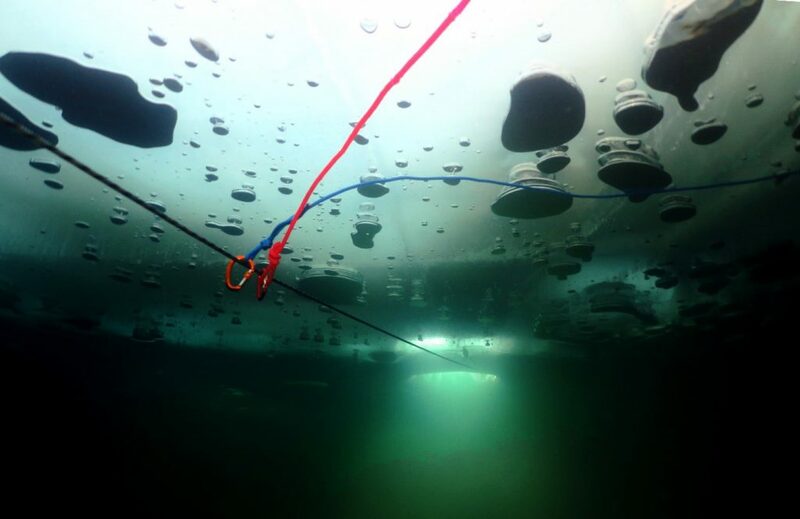 The instructor only takes one person at a time so it’s a great place to start your ice diver experience! Near Montreux in Switzerland, every winter, local scuba divers meet at Lioson-d’en-Bas, at 1,550m of altitude, and put snowshoes on. It takes about 1 hour to climb the 400 remaining meters to Lioson Lake. All the tanks, gear and luggage are transported in a specially modified snow groomer. After setting up your scuba diving tank and putting on your drysuit inside the chalet near the lake, you will have to walk down to the lake for about 100m in the snow. In 3°C water, the soft blue glow is mesmerising in pure, clear water. After ice diving for 20 minutes, exiting the hole in the ice like a seal, you still have to stand on your leg and walk back in the snow to change inside. Just think about the delicious Swiss cheese fondue you will get for dinner, I promise it helps! The quirkiest and spookiest ice diving site in Europe is only 45 minutes driving from the capital of Estonia, Tallinn. Rummu Quarry used to be a limestone mining site and a prison. When the excavation labour ceased in the 1990s, pumps that kept the quarry dry were shut down. Soon water started flooding the entire site. After the prison closed in 2012, Rummu became an adventure centre where you can practice different outdoor sports including diving in the crystal clear waters of the quarry and explore the sunken ruins of the prison. Diving in Rummu Quarry is also available in the winter, making it a one-of-a-kind ice diving spot. Will you dare to do it? If diving in frozen lakes, which have almost no aquatic life, is not exciting enough for you, Russia is the place to go to practice marine ice diving. At the level of the Arctic Circle, the White Sea is the only sea that freezes in winter as all other places are warmed up by the Gulf Stream. Leaving from the shores of the region of Karelia, between St Petersburg and the border of Finland, you can go ice diving from December to April. In addition to impressive ice formations, you can also enjoy on the rocky sea bed a surprise abundant marine fauna with soft coral, starfish, crabs, shrimps, sea urchins and sea anemones. An important point to remember, salt water freezes at -1.8°C! 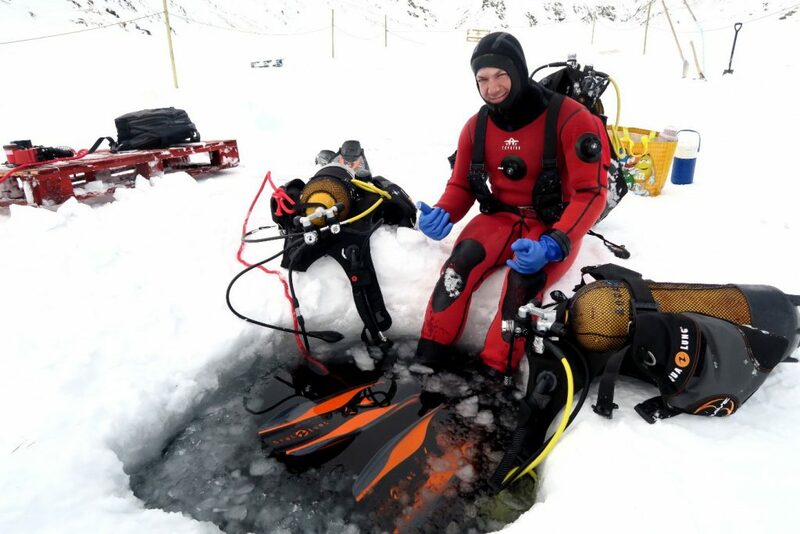 Inspired to start your own ice diving adventure? Find out more about the PADI Ice Diver specialty and head to PADI Travel to look for awesome destinations.